Thru-Tubing Tools Products Overview | Coil Tubing Technology, Inc. Coil Tubing Technology (CTT) specializes in the design of proprietary thru-tubing tools for the coiled tubing industry and provides a full line of completion tools, manufactured in accordance with and to oil industry specifications. 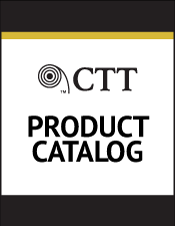 CTT offers a turnkey tool package containing a full line of standard tools and proprietary thru-tubing downhole tools, backed by support services. Single-item tool rental is offered also. We focus on development, marketing and rental of advanced tools and related technical solutions for use with coil tubing and jointed pipe in the bottom hole assembly. Although various companies in the E&P services industry have realized the importance of coil tubing, we focus exclusively on the development of dedicated, patented, proprietary downhole tools and related marketing strategies.